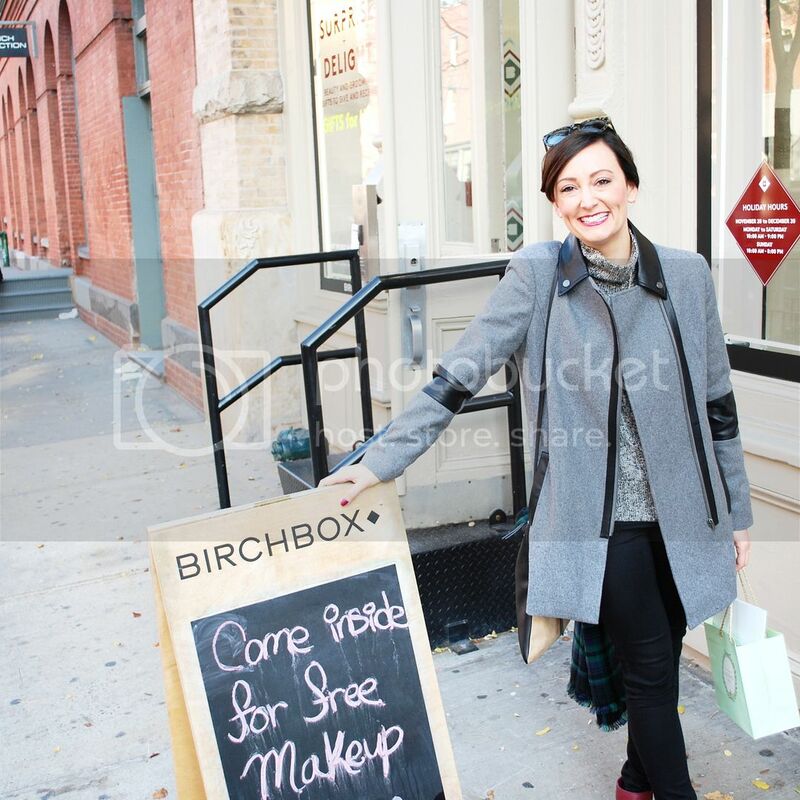 About a month ago while visiting New York, I had the chance to visit the Birchbox store in Soho. Talk about sample heaven! First of all, it is the cutest little store with unlimited samples, products and new brands I’ve never even heard of. 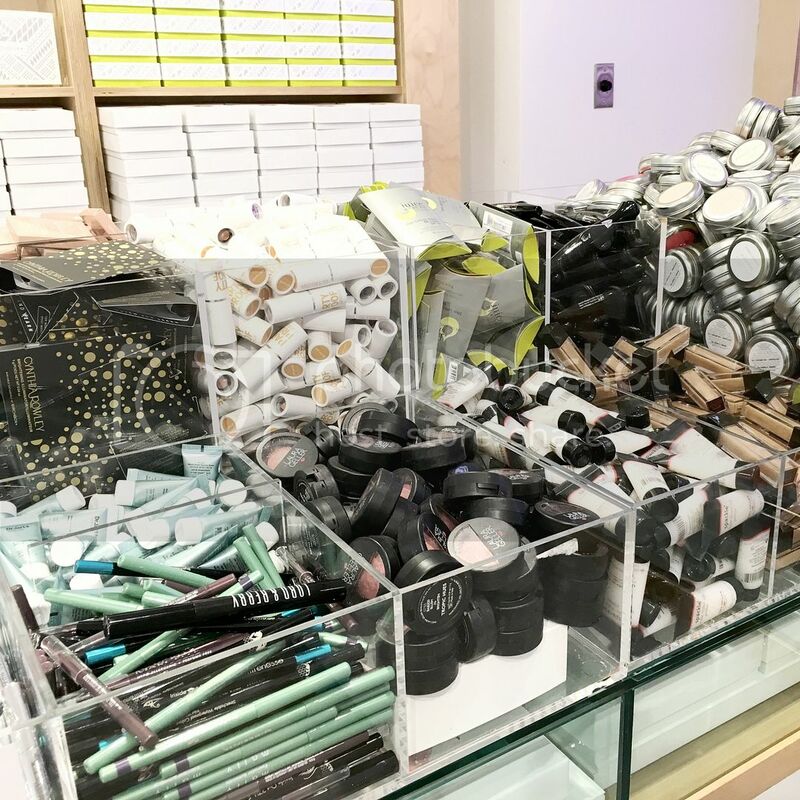 It’s a beauty lovers dream come true! Right when you walk through the doors, you look up and see this amazing “BYOB” sign in lights. A cute sign in bright lights!?! I’m in! BYOB stands for “Build Your Own Birchbox”. You get to choose 1 sample from each of the sections which are hair, face, body, scent & makeup. If you want, you can skip a section and pick two items from a category you really like – for example, I skipped scent and picked two hair products. Here is a list of the products I picked – some I’ve tried before and absolutely love, and some are brand new to me. – Aloe Rescue Revitalizing Fiber Mask by BioRepublic – This mask is full of aloe and vitamin E to give your face major hydration. This is great to bring while traveling to give your face a little boost of hydration after flying on an airplane. Beware, this is one of those popular sheet face masks that make you look super crazy scary….good luck not laughing when you put it on! – Klorane Dry Shampoo – I’ve used this product before (actually got it in a previous Birchbox) and love it! It’s from France and one of the best dry shampoo’s I’ve tried. I love having the sample size because it works perfectly for travel. (This does spray on white but blends so well when you rub it in. Like REALLY rub it! That’s what activates it and blends it in!) This was also a 2015 Best of Allure Beauty winner! – Mirenesse iCurl Secret Weapon Mascara – Ok…I really couldn’t believe that they gave me this $29 mascara in full size! It was considered a “sample choice”! Score! I love the curved brush on this Aussie made mascara and feel like it actually did add some curl to my lashes. Overall a pretty great mascara but if I was going to spend over $25 on a mascara I would probably go with the Marc Jacobs Velvet Noir that I talked about in this post here. – AYRES Body Polish – What drew me to choose this sample was the AMAZING smell. I got the scent “Pampas Sunrise” which is incredible! This is a body polish that you use in the shower or bath that has little beads that massage and exfoliate your skin. I love this stuff so much I might be buying the full size. – R+Co Park Ave Blow Out Balm – I love R+Co products and this was one I had never tried before. It smells SO good and you only have to use a very small amount to get a full, bouncy and controlled blow dry style. This is my pre go-to blow dry balm now! – Illume Mini Tin Candle – This little candle was an extra little gift from Birchbox! They let me choose whatever scent I wanted and I went with “Coconut Milk Mango” which is simply put…..WOW! Such an amazing scent. Such a cute little candle! 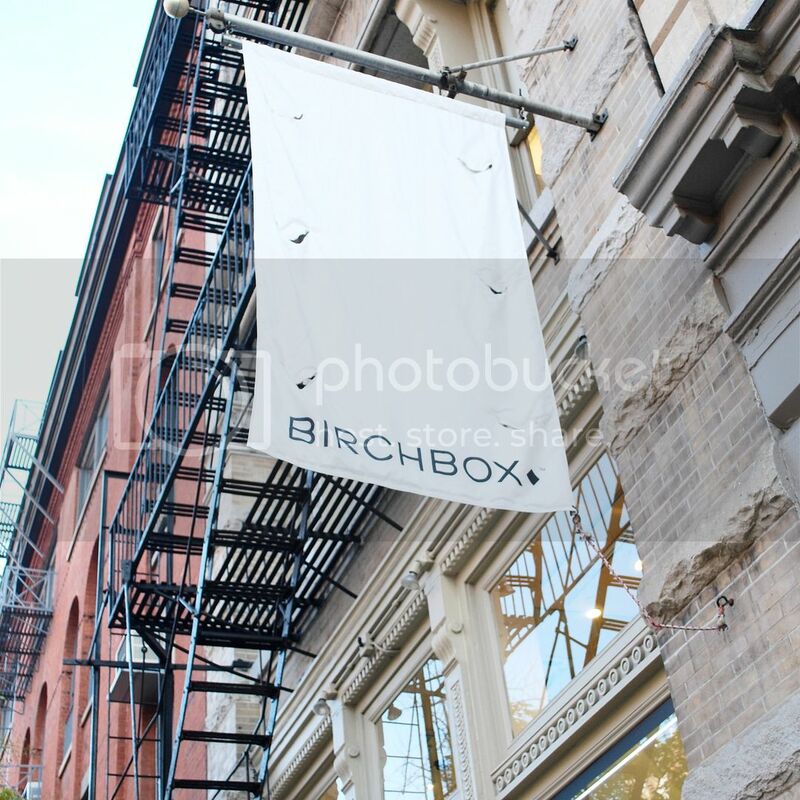 If you are ever in the Soho area, make sure to stop by the Birchbox store. It is such a cool experience and you won’t regret it! 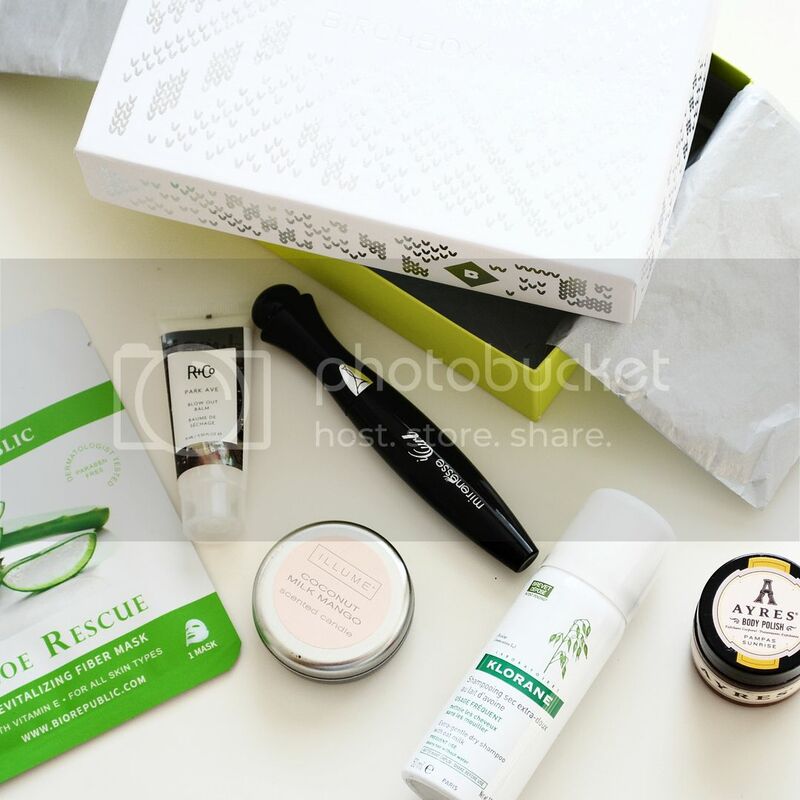 If you have never heard of Birchbox, it’s a must try! You spend $10 a month to get a cute little box full of sample products (usually 5 different samples) which they select for you based on a profile you fill out. 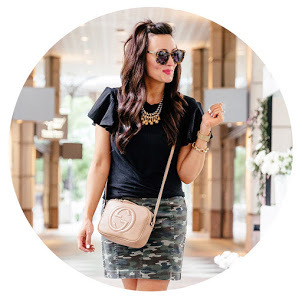 It’s a great way to find new products & try things you would never even think about using! Sign up here & try it for a month! It is SO fun! 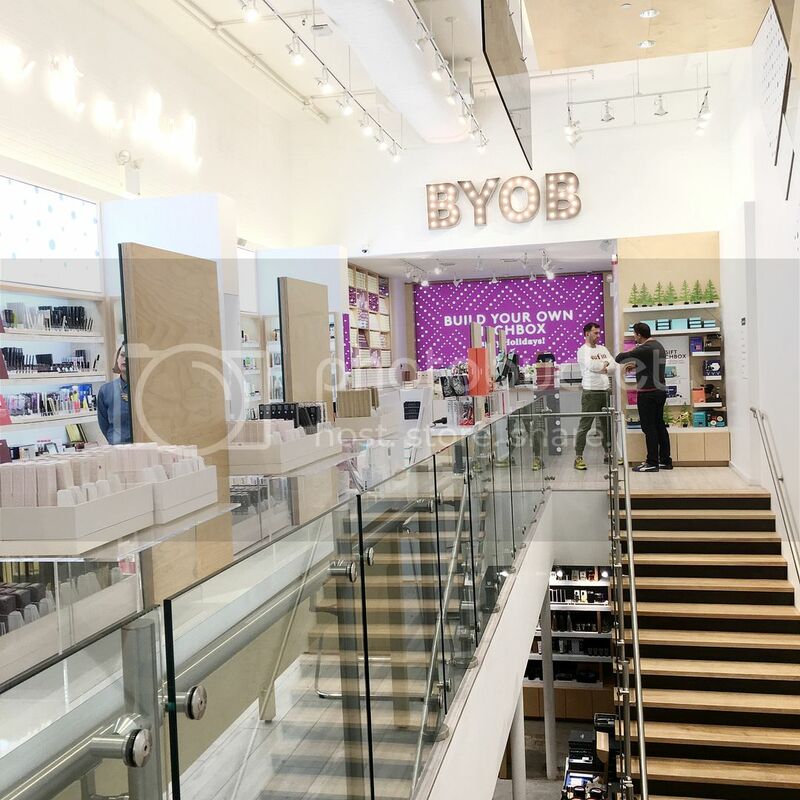 *Thank you so much to Birchbox for choosing me to be a Birchblogger and letting me visit (and take pictures) in your beautiful store! It is JUST like a beauty candy store! So amazing!